Lingua Musica interviews with stephaniesid! Kelly Denson with Lush Life Today talks with Stephanie Morgan, Chuck Lichtenberger and Tim Haney of Stephaniesid at Tony Preston’s studio in Asheville in November 2011. The band talks about their “pop noir” sound and new record, Starfruit, their upcoming trip to Europe, being influenced by Holly Palmer when she played at Be Here Now, the dynamics of their music and more. Tony Preston filmed and edited this video which is copyright Luminescence 2011. 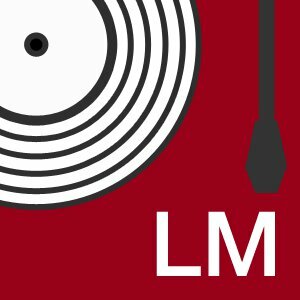 Lingua Musica is a roundtable of conversation with a rotating cast of musicians, music journalists, and industry professionals as panelists about music news, history and culture. This is where you get to talk about the music that you’re passionate about with your peers, your heroes, and those who would like to get to know you and your role in the music world. WNCW midday host Joe Kendrick produces and hosts the show and facilitates the live and virtual audience to take part. Kendrick has produced the music-based talk show “What It Is” weekdays on WNCW since October 2007. Lingua Musica is run independently by Kendrick and other professionals in the community. 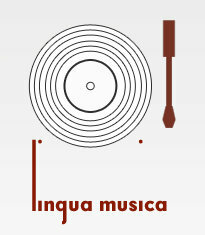 To find out more about Lingua Music, please visit the website at linguamusicalive.com. (Spartanburg, NC) Lingua Musica is the first live music talk show to bring online viewers into the conversation with a live studio audience in the Carolinas. Lingua Musica streams live online from The Showroom at the Hub-Bub in Spartanburg on Tuesday, November 30th at 8pm. We also encourage people to come out and enjoy the show in person! WNCW midday host Joe Kendrick produces and hosts the show, with a rotating cast of musicians, music journalists, and industry professionals as panelists who talk about music news, history, and culture while inviting the live and virtual audience to take part. Kendrick has produced the music-based talk show “What It Is” weekdays on WNCW since October 2007. Lingua Musica is ran independently by Kendrick and few others in the community. The pilot show was held August 12th. The show is an hour long, interspersed with topic conversations and music. It is followed by an hour set from the house band for the evening, The Antibodies and their dancers, The Pulse. Lingua Musica streams live to the internet and takes live audience comments as well as through online viewers via the website and twitter. The roundtable of panelists are able to respond to the audience as a whole, creating a continuous loop of conversation that connects the “live” and “virtual” audience. Shows will be archived for viewers who are passionate about live music and conversation. Check out the videos from the world premiere here. Please join us for the Spartanburg premier of Lingua Musica for an evening of music and conversation!